Marketing executive and outdoorsman Tom Vogl named as new CEO of The Mountaineers. Tom Vogl, a Seattle business executive and outdoorsman, has been named CEO of The Mountaineers. The appointment takes place Feb. 29. A graduate of Harvard Business School, Vogl brings extensive experience in the outdoor industry, including six years as senior vice president for marketing at REI from 2006 to 2012. Over the last four years, he's worked in executive roles in Seattle’s start-up community. 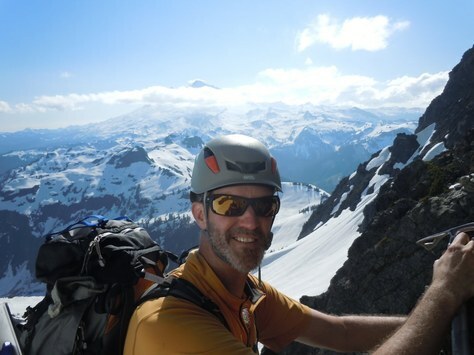 A passionate climber and outdoor adventurer, Vogl has explored many wilderness areas of the Pacific Northwest since moving back to Seattle with his family 10 years ago. He enjoys all outdoor activities, from mountaineering and rock climbing to backcountry and Nordic skiing. Vogl’s expertise has also impacted several nonprofit organizations. He has served on the board of directors at the National Parks Advisory Board, The REI Foundation, and Chief Seattle Council of Boy Scouts of America. He replaces former executive director Martinique Grigg. For 110 years, The Mountaineers has set the standard for climbing education, outdoor instruction, and wilderness conservation in the Pacific Northwest and beyond. Today the 11,000-member organization offers thousands of volunteer-led classes, field trips, and events to connect young and old, novice and veteran, to the power and wonder of the natural world. Its publishing division Mountaineers Books expands the mission internationally through award-winning publications including instructional guides, adventure narratives, and conservation photography. Learn more at www.mountaineers.org. Learn more about Tom and how he plans to build on our 110-year legacy of outdoor exploration, education, and conservation.